For the past ten years, Neoflam© has seen great success selling cutting boards in the kitchenware industry. 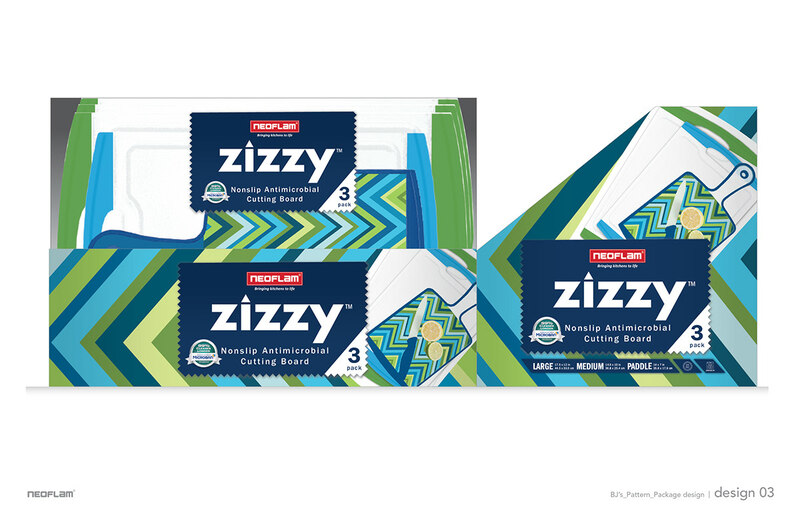 Since 2008, the company has sold millions of cutting boards to major warehouse club buyers such as Walmart, Sam’s Club, and BJ's, to name of few. 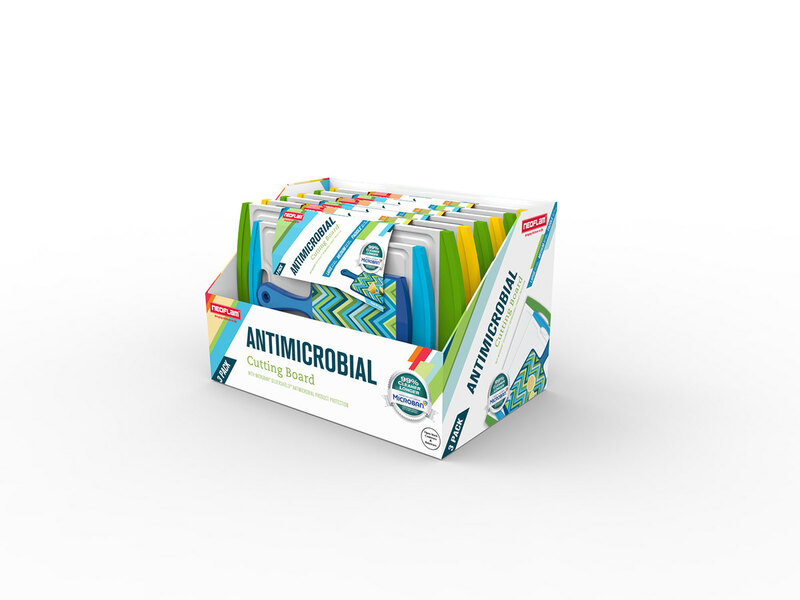 To continue their success, Neoflam© partnered with the Microban brand and their technology to help fight bacteria growth on their cutting boards. To emphasize this enduring partnership of 5 years, I needed to create a new ribbon mark for the Microban© brand to help emphasize Microban's newly rebranded logotype so it coincides with their new identity and the packaging design. The new design appealed to the client well. The client had been looking for a fresh look that would appeal to its target audience. 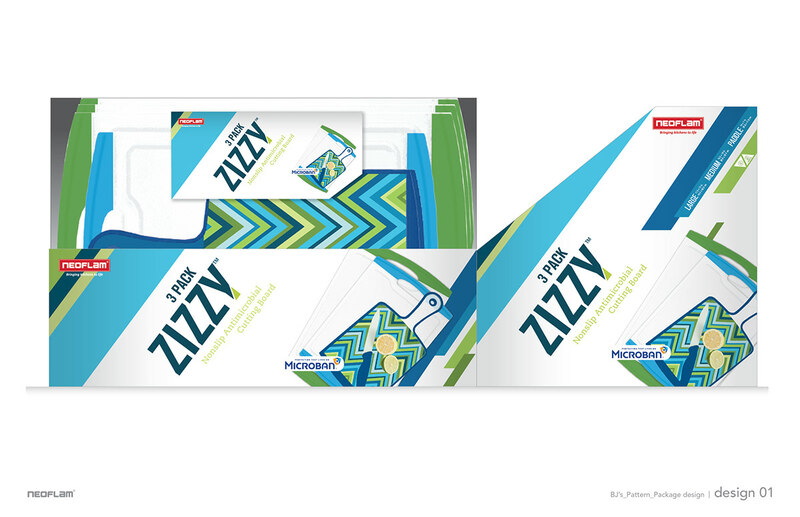 The new packaging design accomplished this through its trendy use of color and unique dieline. Through this project, my goal was to capture the attention of a target audience that is always on the lookout for new kitchen trends but carefully considers their options before making any decisions to purchase new products. Based on my research, I found that this target audience is an equal balance of men and women from various stages of life. These life stages include newlyweds, singles, and contemporary moms and dads who value maintaining a healthy lifestyle and innovative kitchenware. With this research in mind, I decided that having a male and female version for the paddle board would be the best product design approach. Two androgynous color palettes, including a warm and cool color palette, were used to appeal to both male and female consumers. A timeless chevron pattern was used for the pattern design to appeal to both traditional and modern tastes. 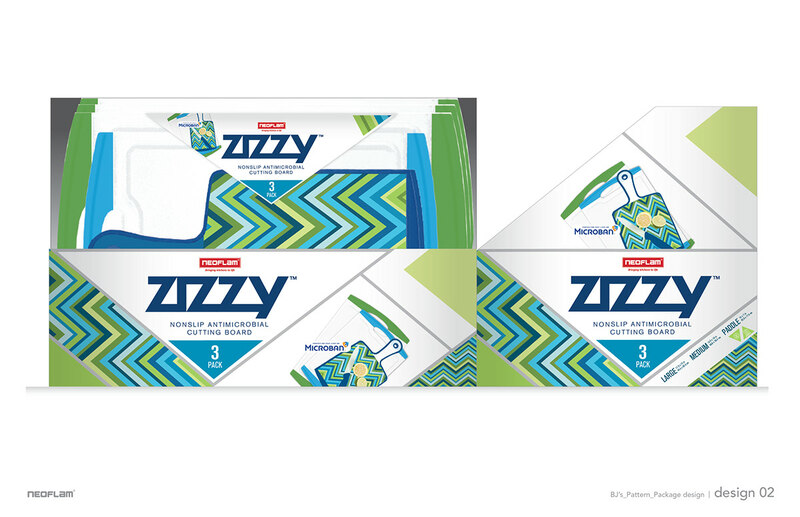 The chevron pattern was extended to the package design and juxtaposed with brilliant diagonal patterns, creating a dynamic yet clean visual presentation which echoes the product's powerful antimicrobial technology.